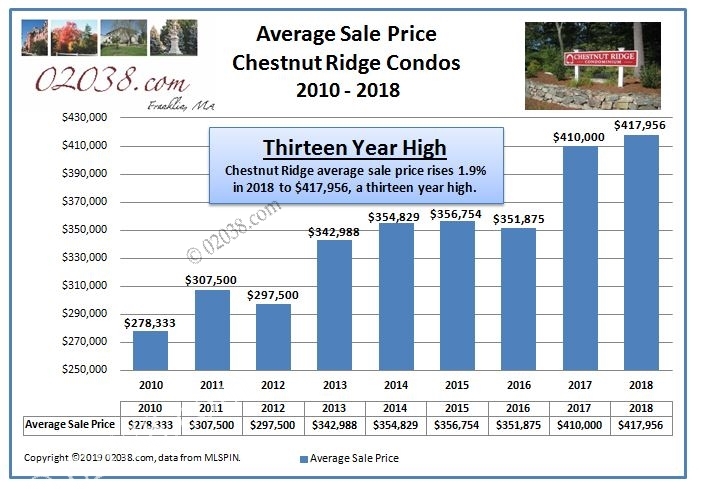 For the second year in a row, the average annual sale price at the Chestnut Ridge Condos in Franklin, MA exceeded $400,000 in 2018. At $417,956, the average sale price at Chestnut Ridge is the highest it has been in the last thirteen years, according to data provided by MLS-PIN. Only in 2005, when the average sales price was $435,800, has the annual average price ever been higher at Chestnut Ridge. Eight condos at Chestnut Ridge changed hands on the MLS in 2018. That was a 33% increase in sales volume over 2017. 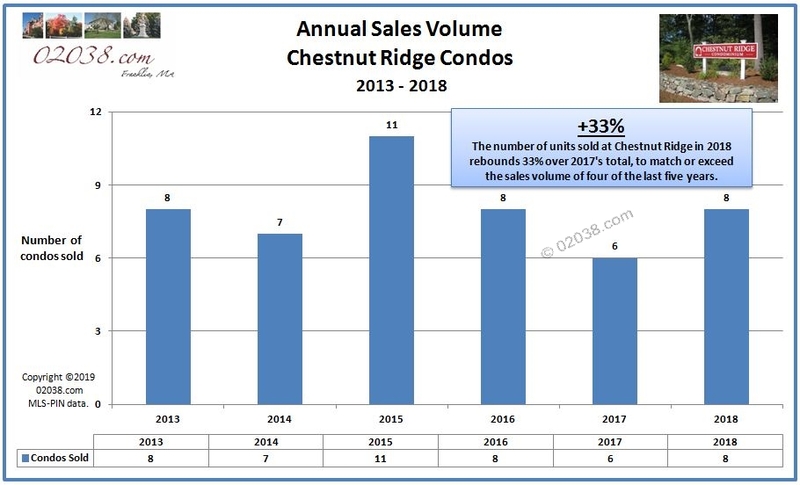 2018’s sales total met or exceeded the annual sales volume at Chestnut Ridge for four of the last five years. 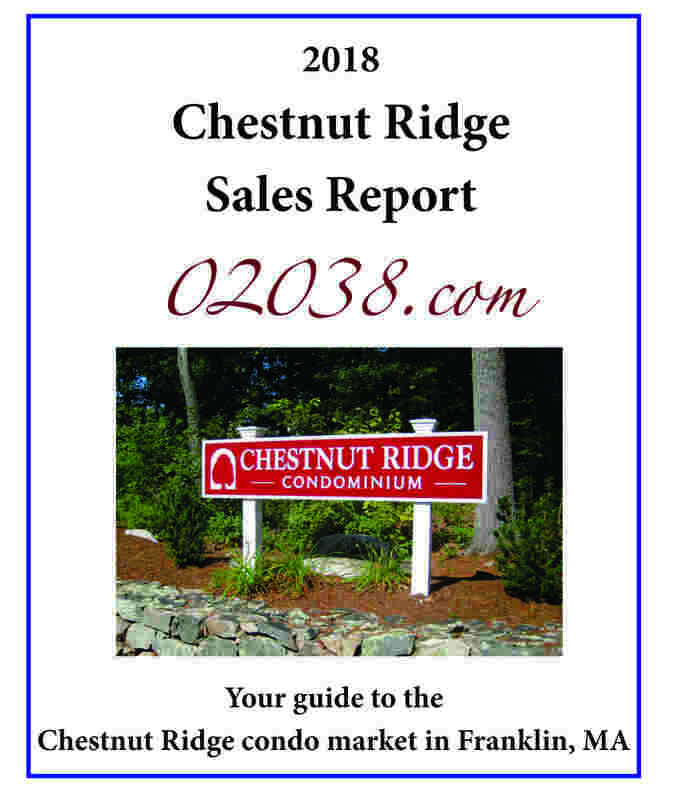 Follow the hotlink at right or in the image below to access full details and photos for all 2018 unit sales at the Chestnut Ridge Condos in Franklin, MA. As you’ll see in the report, each unit’s floor plan and degree of interior updating play a huge role in determining market value. So if you’re thinking of buying or selling a home at Chestnut Ridge, contact Warren Reynolds for expert advice about values at this popular condo community. Warren knows Chestnut Ridge!